The O&3 core focus is to service its’ clients by producing, packing and adding value to a wide range of natural ingredients. 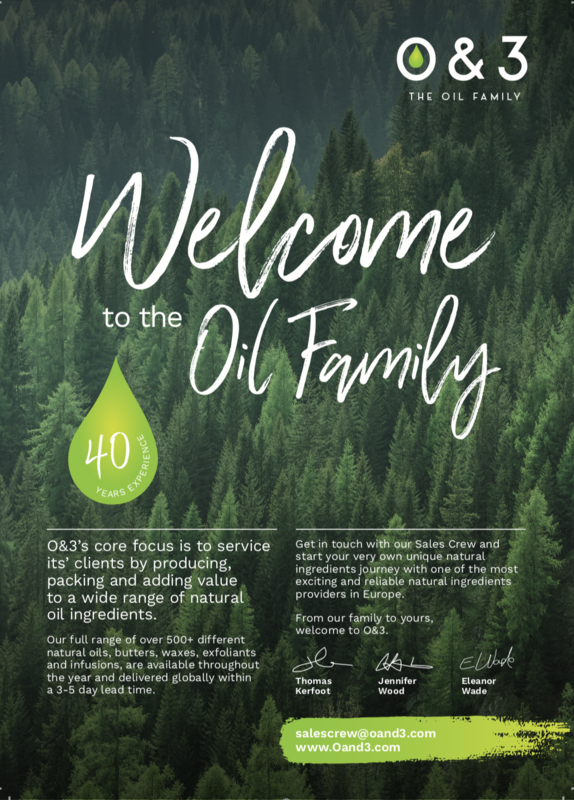 Whether you are a distributor, wholesaler or manufacturer, the O&3 family are the global go-to for all your natural oil ingredients and innovation. Looking for natural ingredient inspiration? Our range of new & unique natural oils, butters, waxes, exfoliants and infusions, are available throughout the year and delivered within a 3-5 day lead time. Welcome to The Oil Family.